Pretty much nailed everything I felt as well. I'm not a Moffat hater, I wouldn't say he is ruining doctor who, but it seems like a lot of his ideas are things that seem cool at first, but don't benefit in the long run. He just doesn't seem very good at handling "the big picture". I actually really like Matt Smith as the Doctor, I just don't care too much for a lot of the stories involving him. Thanks for your comments - I think 'He just doesn't seem very good at handling "the big picture"' really sums it up. The problem is, your faults with the episode aren't faults. They are just different than you would have done it. I still enjoy watching this show, but Moffat is strange... he can do very good job and... not really good (bring back to life people ... like Jenny, Strax - death is death... like the time of RTD. Kids are not stupid!). I was expecting a darker episode. To make the transition between the eccentric Matt, and the -let's hope- pragmatic Peter... and tormented. But with this almost "happy ending", everything is reconsidered. The Doctor doesn't have to be tormented anymore... So what's next? I really wish the Fall Of The Eleven will be a darker story. 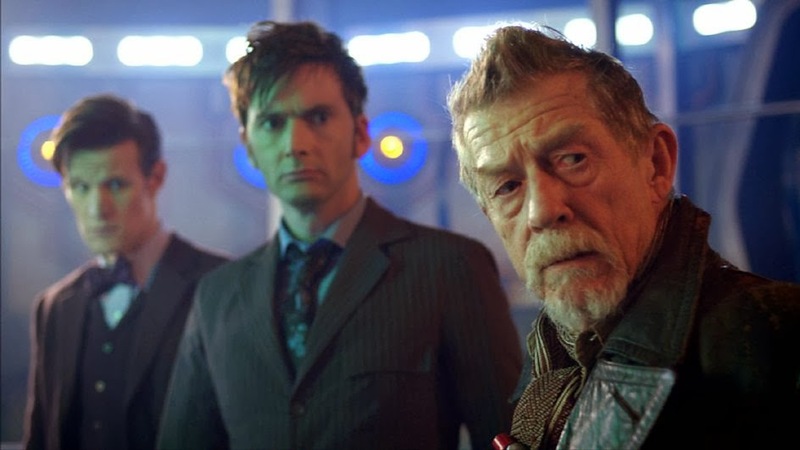 The problem is the regeneration limit... should we include Hurt, and Tennant clone? Good luck Moffat to manage this with consistency. @Dingly - hmmm, I'm not sure I agree with you. I can understand why the 13th Doctor would be there - he's a future Doctor, so he would know about it. But I cannot see any possible reason for the 13th to be there if the 14th, 15th etc aren't there as well, if you understand what I mean (they won't stop at 13, by the way). Just re-watched this episode. It's grown on me (slightly). 7/10.